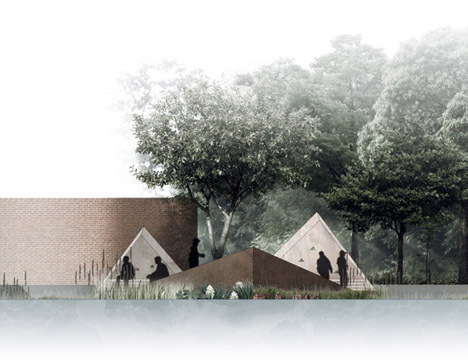 Referencing rocky Nordic island sanctuaries, this platform is designed to provide a place to relax and observe local wildlife in the heart of a bustling city. 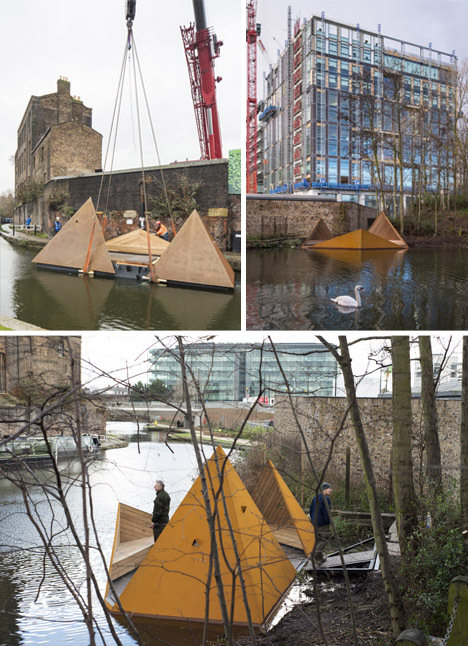 The prefabricated structure was lifted into the canal by crane and pushed into place by a tiny tugboat, all in a single day. 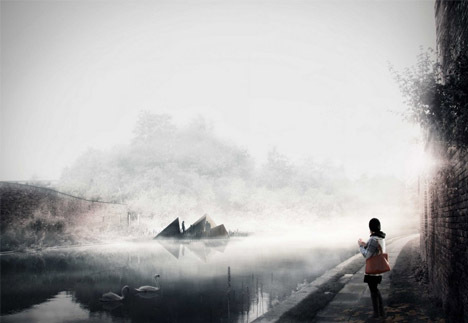 Viewpoint was created for the London Wildlife Trust by Finnish architects of AOR. Of their inspiration: “For Finns, [small] islands are places of sanctuary, to relax the mind and get away from hectic city life. 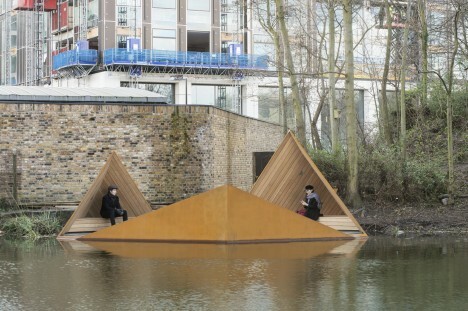 Viewpoint offers Londoners a chance to experience this escape on a secluded islet in the heart of the city.” It is to be a permanent fixture of Regent’s Canal, located in Camley Street Natural Park. As the architects alluded to, this minimalist approach and triangular architecture are modeled on the vernacular of traditional temporary dwellings found further north. Such residential retreats are situated on small islands and used for hunting and fishing excursions. Typically, these humble abodes are made using natural at-hand materials including tree bark, branches, leaves and mosses. 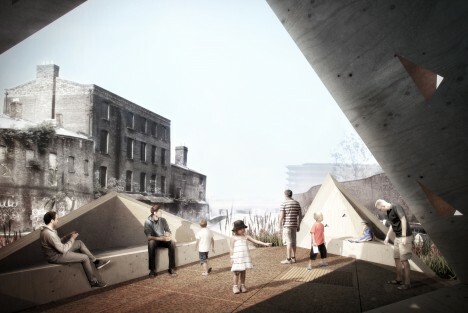 Unveiled by the The Finnish Institute in London and The Architecture Foundation, the finished design is definitively Finnish, created with acoustics, human scale and tactile experiences in mind, and factoring in how materials will weather over time. The result features modest volumes and a warm wooden frame rising up from concrete and clad in Corten steel. 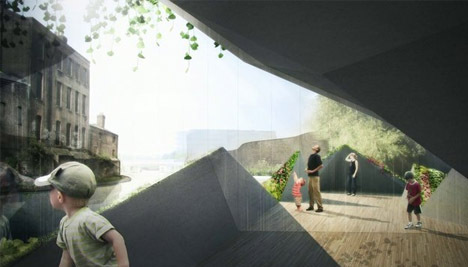 In turn, this made-to-age material palette will increasingly blend the structure in with its surroundings.